Colony Woods real estate is located within a 55+ active adult community. Properties in this community offer everything that you are looking for when searching for the perfect home. These residences are located in Boca Raton, Florida off of Palmetto Park. Enjoy your active lifestyle in this outstanding community. These traditional style Boca Raton homes are CBS constructed and were built in the 1980s. With a low HOA fee, this immaculately maintained neighborhood is ideal for your active lifestyle. Enjoy time at the clubhouse with family and friends by spending time by the pool, playing a game of shuffleboard, or having a picnic in the picnic and barbeque area. Colony Woods is close to shopping, dining, and entertainment. Enjoy the Florida lifestyle in this one of a kind active adult community. We look forward to helping you find the perfect property. Let us know how we can be of assistance. 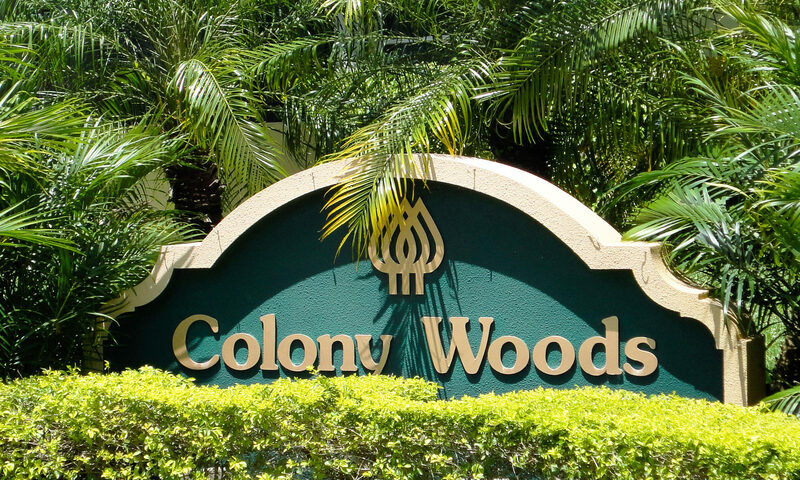 I am interested in learning more about Colony Woods homes.